Chlorella and Spirulina are two of nature’s richest nutritional sources. Both forms of algae, their effects are varied and wide-reaching: Chlorella helps to detoxify the body and repair your immune system, and Spirulina is considered to help maintain a balanced diet and boost energy. The certified food supplement is suitable for vegans and contains 180 tablets which is a 1-month supply. 6 tablets (3 grams) daily, taken all at once or 2-3 times throughout the day. 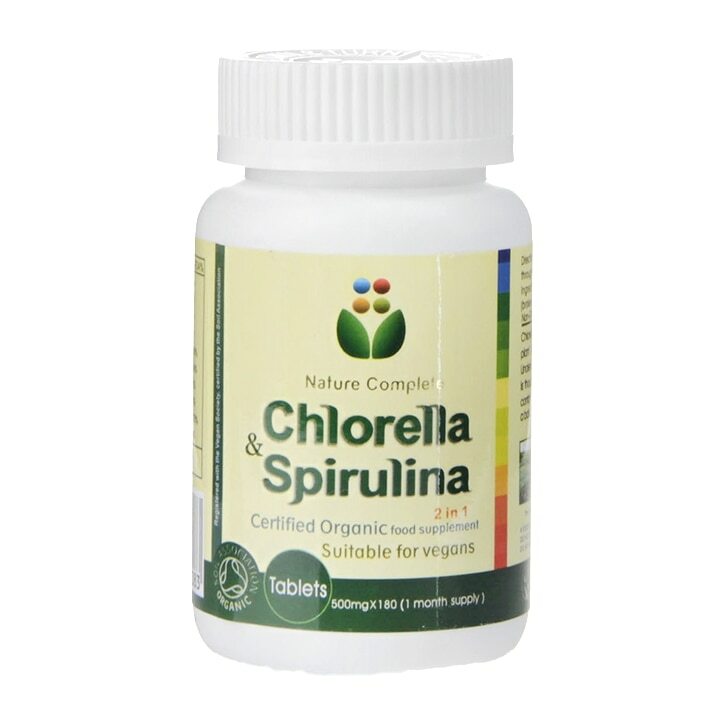 Nature Complete Chlorella & Spirulina Tablets is rated 4.9 out of 5 by 19. Rated 5 out of 5 by Adison from Excellent I bourght it 3 months ago. More energy almost immediately after taking it. Good quality with better taste compare to all other brands that I've been taking. Definitely recommend it. Rated 5 out of 5 by jbo1 from Ch&S I can recommended this product. Good quality,intended effects. Rated 5 out of 5 by Binty from Great product. Best spirulina product in the market. Have been using it for a couple of years now. Rated 5 out of 5 by Larisa2017 from Great! I bought this produce and I am very satisfied! I recommend for detoxifiere and energy! At me works very well!